Have you wondered what faith is all about and wish someone would explain it with easy-to-understand language? Are you confused about the concept of the Trinity? Do you question a God who allows bad things to happen? UPLOADING FAITH: What It Means to Believe presents brief descriptions of faith facts such as God, Church and Prayer. But it also engages in discussion about deeper topics. It encourages your questions and answers you from the realistic viewpoint that living a life of faith is indeed possible. Abigail is living in a destructive relationship, but her husband is a deacon so no one at church will believe her. How can she set healthy boundaries and is it possible to save her marriage? No Visible Scars is a contemporary novel which tells the truth about domestic abuse in Christian homes and helps abused women realize they are not alone. How can we best respond when life seems hopeless? When life unravels, how do we find hope? Hope Shines offers an encouraging boost with nuggets of hope for weary souls. 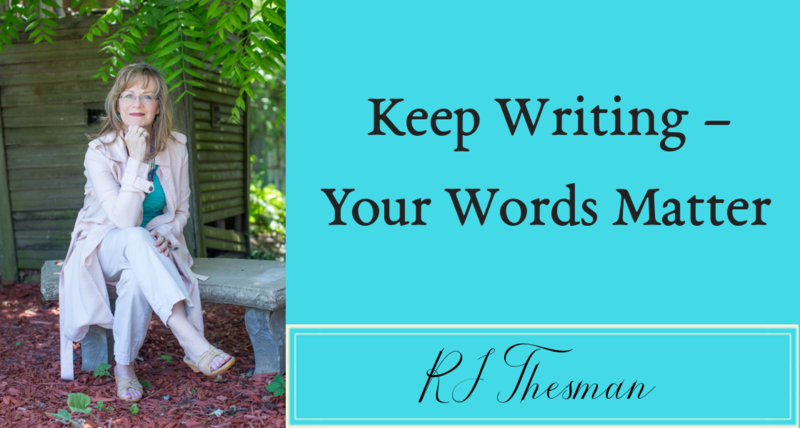 From blog to book, RJ Thesman continues to share her Hope series with readers living in the chaos of daily life and searching for a glimmer of hope. You’re a caregiver and already dreading the coming holidays. So much stress. How can you make Thanksgiving and Christmas easier for your loved one? But how can you survive all the activities and the extra worry of taking care of someone who has forgotten who you are? Holiday Tips for Caregivers gives you practical ideas for surviving the holidays and permission to take care of yourself. Caregivers of Alzheimer’s patients grieve through the Long Good-bye while trying to meet the needs of their loved ones. These caregivers need to find daily hope – to know they are not alone in their journey. Sharing the authenticity of the caregivers’ challenges, Sometimes They Forget presents essays and meditations from the viewpoint of a daughter whose mother is disappearing within the shadows of this brutal disease. The Coaching for Writers Series continues with booklets specifically geared to helping writers accomplish their goals. Whether it’s Setting & Reaching Your Writing Goals or learning about 5 Strategies for Social Media Engagement these books help writers move toward their publishing dreams. What would it feel like to be inside the brain of an Alzheimer’s patient and experience the disease in first person? Reverend G has just been diagnosed. How can she learn contentment when she’s afraid she might forget God? Join with other readers of this best-selling trilogy and discover why they love The Unraveling of Reverend G.
As Reverend G continues through the Alzheimer’s journey, she begins to miss some of her words. Her cat, Gabriel, remains a constant companion but another love of her life begins to surface. Through it all, Reverend G wonders if she has lost her connection with God. In Intermission for Reverend G, her worst nightmare seems to be coming true. She no longer hears from God. Reverend G moves into the final stages of Alzheimer’s yet she manages to find ways to bring encouragement and humor to the residents of Cove Creek. Near the end of her battle with this vicious disease, she discovers God’s grace in His promise to never forget her. In Final Grace for Reverend G, the brave little minister remains steadfastly connected to the God who will never let her go.